Makeup is everything to me, and it always will be. That said, buying beauty products can get pricey, so I’ve had to learn how to satisfy my love for makeup on a budget. 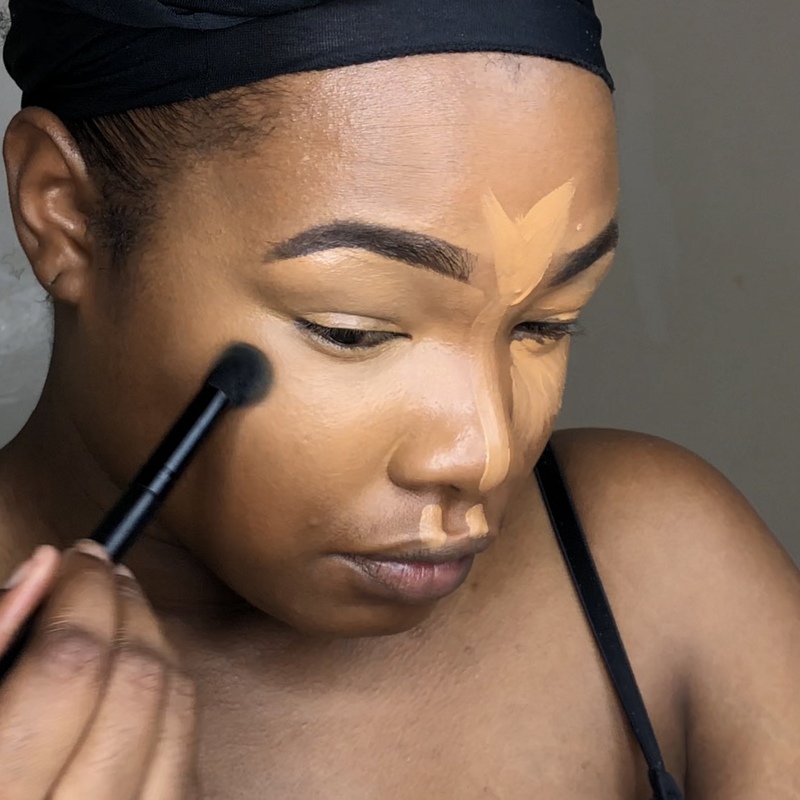 My favorite beauty products to find on the cheap are brush tools. It’s one thing to spend $30 on a high-end foundation, but for me, it felt like torture every time I spent $40 on a makeup brush. At first, I thought I needed to spend a lot of money on makeup brushes in order to achieve a stellar makeup look. But that’s just not the case. 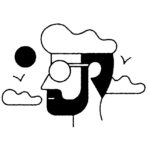 It hurt the hell out of my wallet to pay for expensive brushes, and here’s the thing: Those high-end makeup brushes didn’t make me a world-renowned makeup artist. 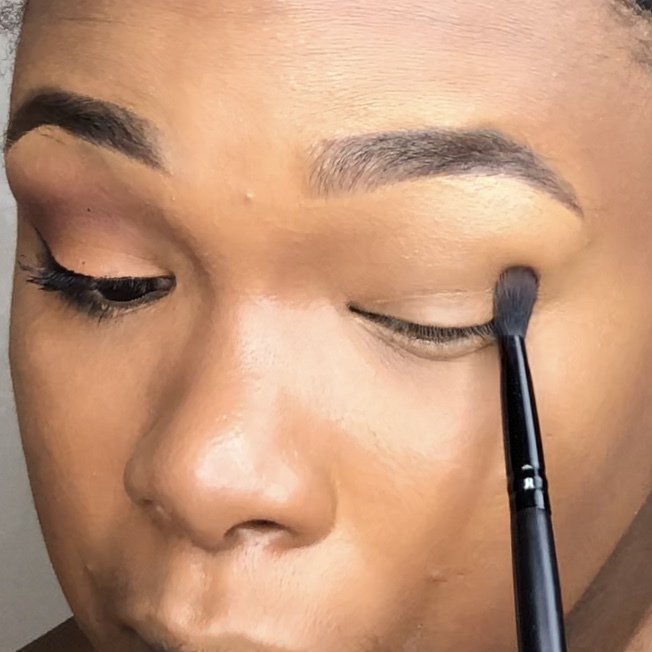 So when I discovered makeup brushes from e.l.f Cosmetics during my regular trip to Target, it changed the way I viewed affordable brushes forever. I was familiar with the white-handled e.l.f brushes, but the black-handled ones intrigued me. 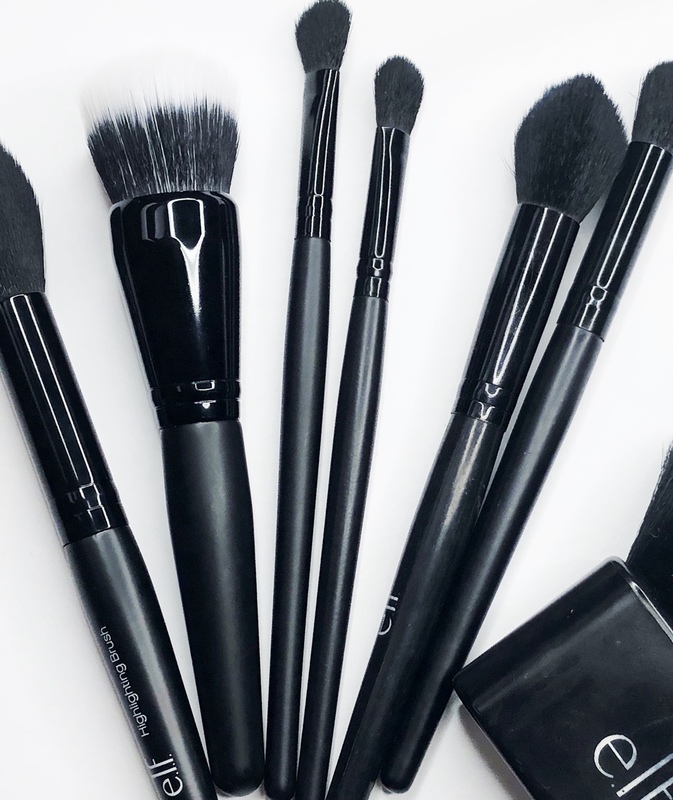 Compared to the $1 white-handled brushes, the black-colored makeup tools looked more “expensive.” The price ranged from $3 to $10, so I was more than willing to give them a shot. In my humble opinion, applying makeup is 30% tools and 70% technique. I’ve applied makeup brushes from varying price points, and what I’ve realized is creating a great makeup look is mostly about your technique. I mean, there are people creating makeup masterpieces with their fingers and random household objects. As for the picture above, I’m using is the e.l.f Flawless Concealer Brush ($2.99). There are so many affordable options for face and eye brushes. There are a lot of brushes to choose from e.l.f, and for me, they’re all worth the money. 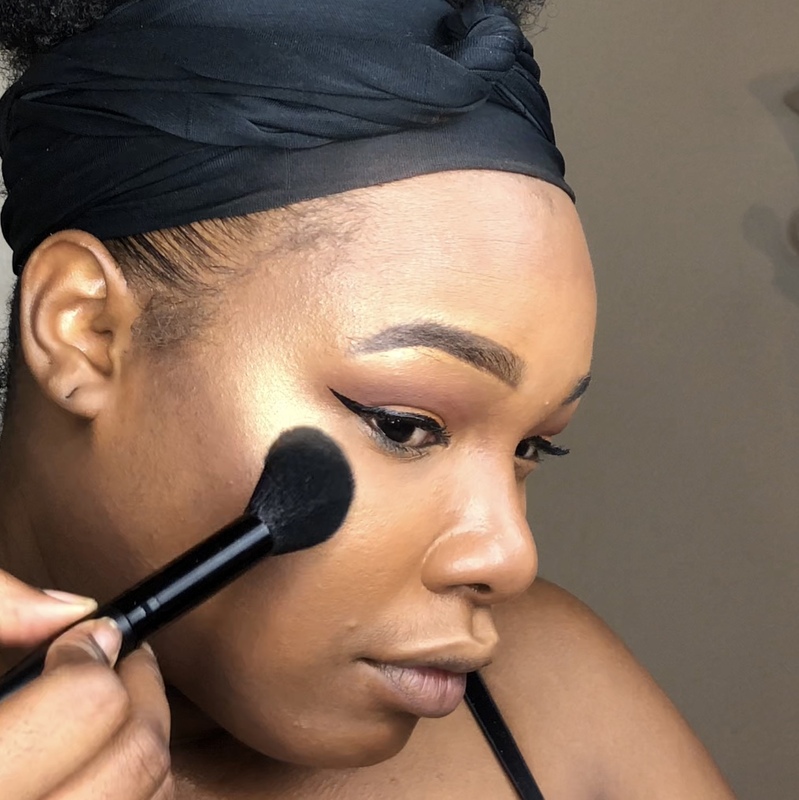 You just might discover a new brush that spices up how you apply your makeup, like this e.l.f Highlighting Brush ($2.99). The brush hairs are comparable to more expensive brands. Plus, they’re so soft. The one thing that grinds my gears about people’s thoughts on “cheap” makeup brushes is that they believe affordable brushes are usually hard and rough on the skin. 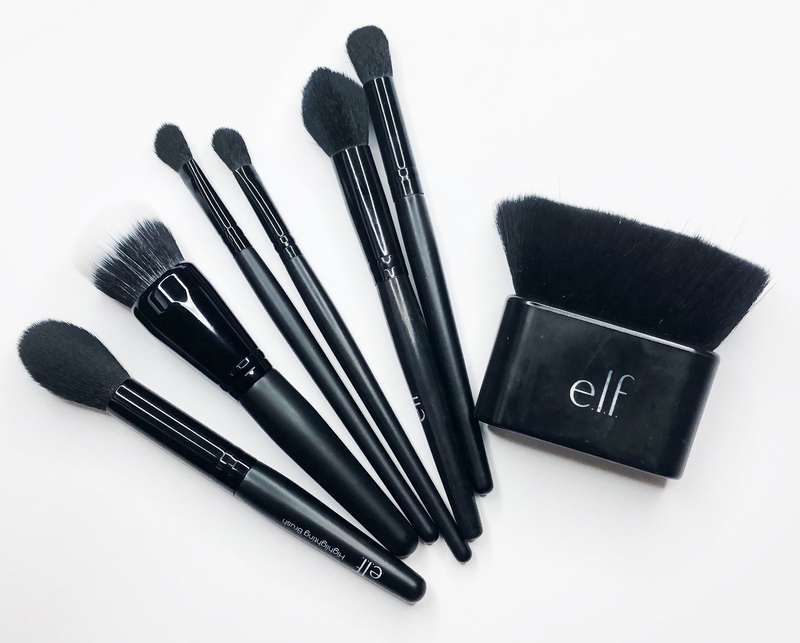 While this can be the case (I’ve had brushes in the past scratch my skin), these e.l.f brushes blend eyeshadow perfectly without causing any irritation to my skin. My eyelids are particularly sensitive, too, and they can handle the e.l.f brushes, like this Eye Blending Brush ($3). The face brushes apply powders and foundation flawlessly, leaving your skin selfie-ready. 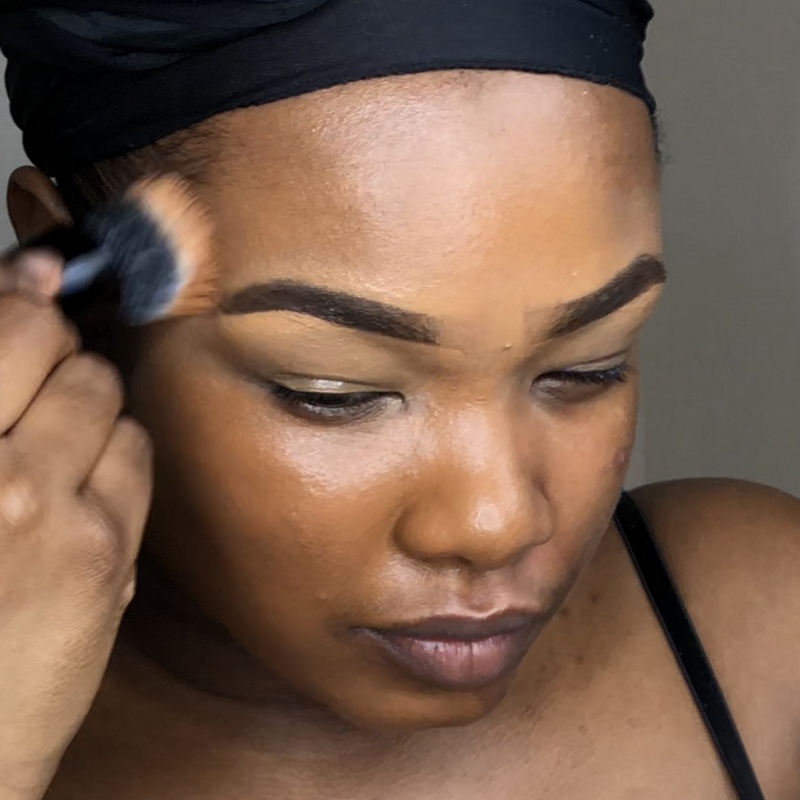 A new favorite brush of mine is e.l.f’s Selfie-Ready Stipple Face Brush ($6). I was in awe the first time I applied my foundation with this brush. It blended my foundation so well that I didn’t need to apply an extra layer of foundation or go over it with my Beautyblender. However, it’s important to note that these e.l.f brushes probably won’t last as long as expensive brushes. While most luxury brushes can last you from five to 10 years with the proper care, based on my experience, the e.l.f brushes may last a year (or if you’re careful, two to three years). Another thing to keep in mind is that these brushes do shed over time, but it’s bearable. One thing to be careful with is washing the brushes. When washing these brushes, focus solely on the hairs instead of submerging them in water. Soaking can loosen up the glue, which will essentially break your brush. Overall, if I won the lottery tomorrow, I would still purchase these brushes time and time again. They are THAT good!